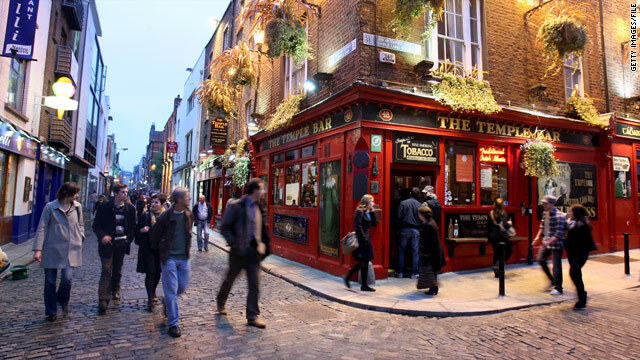 Aer Lingus has just dropped the prices of their flights from Winnipeg to Dublin, Ireland down to $789 roundtrip after taxes on dates from November 2013 to February 2014. Obviously these are the off-season months for Ireland, but they're worth noting, as flights to Europe under $1200 have been extremely rare from Winnipeg for a very long time, at any time of the year. There seems to be a few Christmas & New Years dates that are cheap as well, which almost never happens. Other dates are available, try a 3 day flexible search in Kayak to see what's available. You can click through from Kayak to Orbitz or Cheaptickets to book. Currently the prices are verifying on Orbitz, but I imagine as the tickets sell out, you'll start to see fares become unavailable and the cheap price will no longer verify. winnipeg, ywg, flight deals, europe, dublin, ireland, dub, northern europe, western europe and aer lingus.